Larus cachinnans 4CY V560 July 19 2009, Dumpiai dump, Klaipeda, Lithuania. 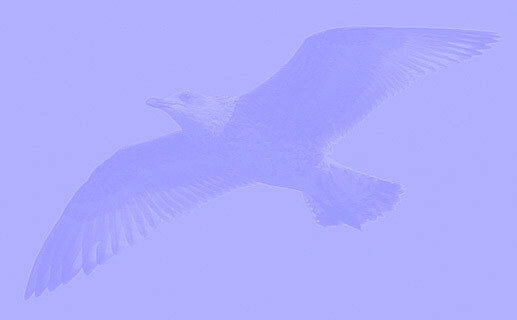 Picture: Vytautas Pareigis. 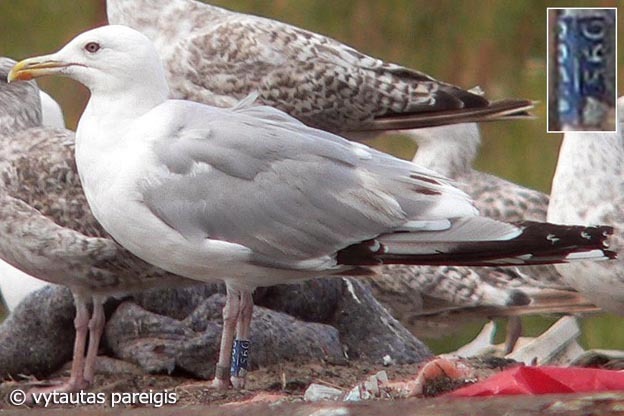 Blue V560, ringed by Kjeld Tommy Pedersen in Denmark in winter, now in in summer in the Baltic states. Bird in active complete moult: P4 fully grown, P7-P10 still old. Note dark greater primary coverts and large mirror on P10 (3rd gen old primaries).